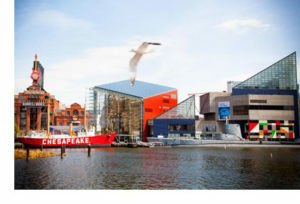 The 2018 CGO conference will take place in Baltimore’s vibrant Inner Harbor. Our hotel, the Holiday Inn Inner Harbor, is just two blocks from the Camden Yards Stadium (where the Orioles will be playing while we’re there!) and just blocks away from numerous museums, restaurants, the National Aquarium, street performers in the daytime and live music at night. The hard realities of real estate, taxation and crime often lead us to meet in cities where economic decline has brought lodging prices down. Such is the case in Baltimore. The city is proud of its history, and has more buildings on the national historic register than any other US city. 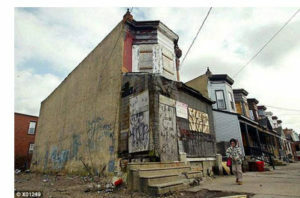 Baltimore has long been known as the “city of neighborhoods” and its people take pride in their friendly hospitality. Yet Baltimore is a profoundly troubled city in which poverty and crime are widespread. A few prominent Baltimoreans, however, have seen how to revitalize their city’s economy, and have called for land value taxation. We’ll start by exploring the nuts-and-bolts reality of a plan that can bring the city of Baltimore back to fiscal and economic health. Local officials, religious and community leaders will weigh in on the effects that such a reform would have on many aspects of community life. A day will be devoted to the theme the spiritual/religious dimensions of the land question. Scholars and local religious leaders will be invited to reflect and speak on this. Speakers will include Clarence Davis, president of the Baltimore AARP and former state legislator from Baltimore, Mary Pat Clarke, Baltimore City Council member and Dr. Michael Safko, University of Baltimore Law School, all of whom support LVT. Ed Dodson will offer a presentation on the pioneering work of single taxer Jackson Ralston, who helped to make LVT a legal possibility in Maryland. We are just getting started. Watch this space!